Matt Hunn admitted would ‘love to play every day’s cricket for Suffolk’ next season. 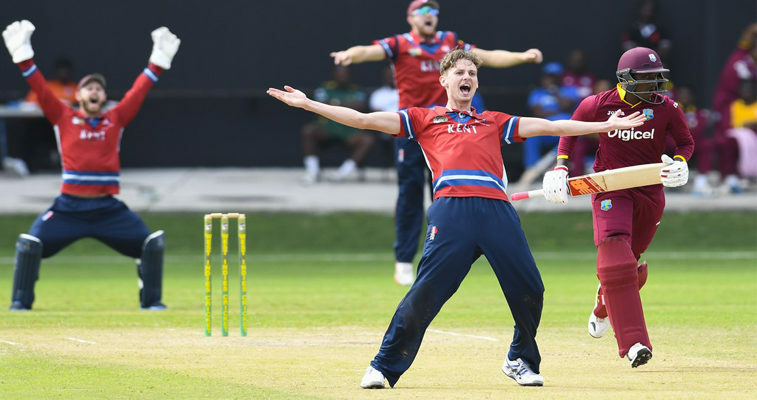 The 24-year-old has agreed to play in the Unicorns T20 and Unicorns KO Trophy for the Minor County side, after leaving first-class county Kent. However, whether the former Sudbury and Bury St Edmunds opening bowler also plays in the three-day Unicorns Championship will depend on his work commitments. Hunn has made just one appearance for Suffolk since signing for Kent towards the end of the 2013 season, even though he was on a dual registration throughout his first-class career. That was against Wiltshire in the Unicorns KO Trophy at Ipswich School in April 2017 when Hunn opened the bowling with ex-Essex bowler Matt Salisbury. Their opening partnership blew away the visitors’ top order, reducing Wiltshire to 19 for 4 in pursuit of Suffolk’s 267, and paved the way for a comfortable 105-run victory. Salisbury, whose figures that day were 5-1-15-3, was snapped up by first-class county Hampshire soon after, and has now signed a two-year deal with Durham after impressing while on loan last season. Hunn, who played 20 first-class games for Kent, is currently considering his options outside cricket, and does not know where he will be based and what his work commitments will be. But he admitted: “I would definitely love to play every day’s cricket for Suffolk next season if possible, but until I get a job I don’t know where I will be living and what I will be doing.